This inspection is a thorough and detailed report on the condition of the house you are considering purchasing. It is our philosophy that the inspection is like an education on the house. When you accompany us on the inspection we will show you which issues are typical maintenance with the house and which are considered above and beyond routine maintenance. You will also be shown how the major operating components work and what you as home owner need to do to maintain these systems. This inspection is for present home owners so that you may preserve the physical condition of your most valued investment. Having regular inspections can keep small issues from becoming larger problems, help you prioritize maintenance projects, identify new safety hazards and also help in keeping your home in optimum operating condition for your comfort. This inspection is also a great way to prepare your house to put on the market. The finished report can be left out for potential buyers to read and buy with confidence. These evaluations provide potential purchasers with information about the condition of a dwelling. An evaluation is required for all houses, town homes and condominiums in certain cities. AccuSpec provides these evaluations for the cities of St. Paul, Maplewood, Bloomington and South St. Paul, including rental housing evaluations . Our Warranty Inspection is designed so you can give your builder a written document that has all of the warranty issues known to date. This is important to perform before the 12 month warranty expires on your new home. Knowledge of a recent flood or a previous water event is an important factor in determining remedial strategies to correct moisture problems or pursuing mold testing. AccuSpec will perform a complete house inspection on your new home prior to closing. This inspection will provide you with a punch list that you can bring to your builder, listing any issues that were identified. 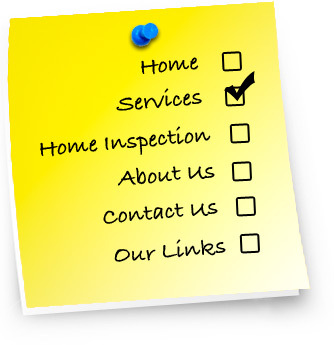 So whatever your inspection needs, Accuspec Home Inspections has the solutions. If you need a St. Paul home inspection or a Minneapolis Home Inspection, don't wait any longer. We also serve all of the suburb communities as well. Call today.